Reducing plastic is a hot topic right now, especially since Blue Planet II hit our TV screens. Plastic is so useful, but it is so difficult to recycle and poses a huge threat to not only wildlife and our environment, but humans too. I definitely needed a reminder of how damaging plastic can be to the environment, and to reassess our family life. Saying no – My mum has started taking plastic wrapping off products when she is at the supermarket and giving them back to the cashier. I would be too embarrassed to do this, but I love that she does it – she says that she doesn’t want to buy the packaging, or have to dispose of it. 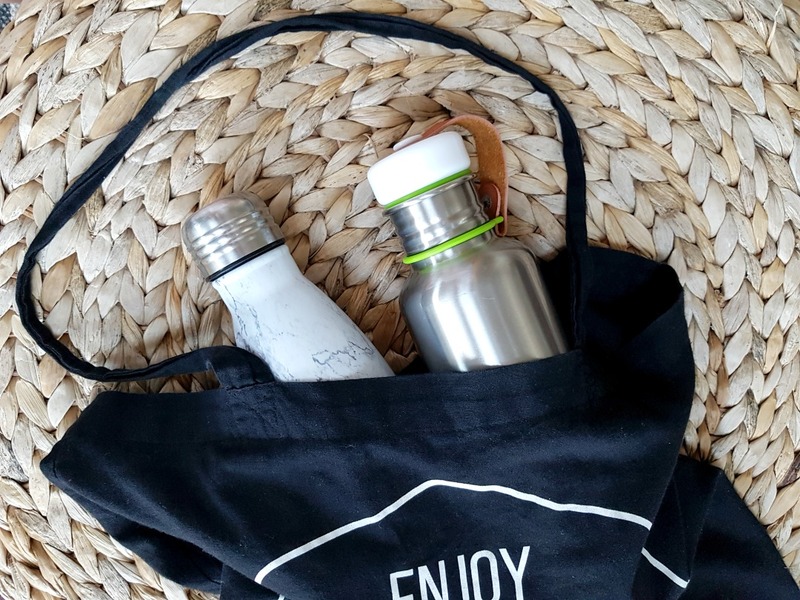 It’s so important to start saying no – no to plastic straws, no to plastic bottles, no to excessive packaging and no to plastic that we don’t want in our homes. Morrisons has brought back paper bags in the fruit and veg department, and you can take in Tupperware to take away your meat and fish. Excessive packaging is the main thing that puts me off using online food shopping more often – it’s slightly absurd. Stainless steel water bottles – Win has had a stainless steel water bottle since he started nursery and it is still going strong three years later. I think that we would have gone through 3 or 4 plastic alternatives in that time. I have one, so does Jared and so does Ru. The best thing about them is how cool they keep water – I’m always pleasantly surprised. Bags – Plastic bags are an obvious one that we’ve all been encouraged to do something about. I’m quite certain that we have all been that person – desperate not to buy a plastic bag, with our arms completely full waddling to the car. Even though I always carry a canvas bag with me in my rucksack, I still get caught out. Those times that you ‘nip’ for a few things, and then find yourself with a whole trolley full. On the whole I’m pretty good, but definitely room for improvement. 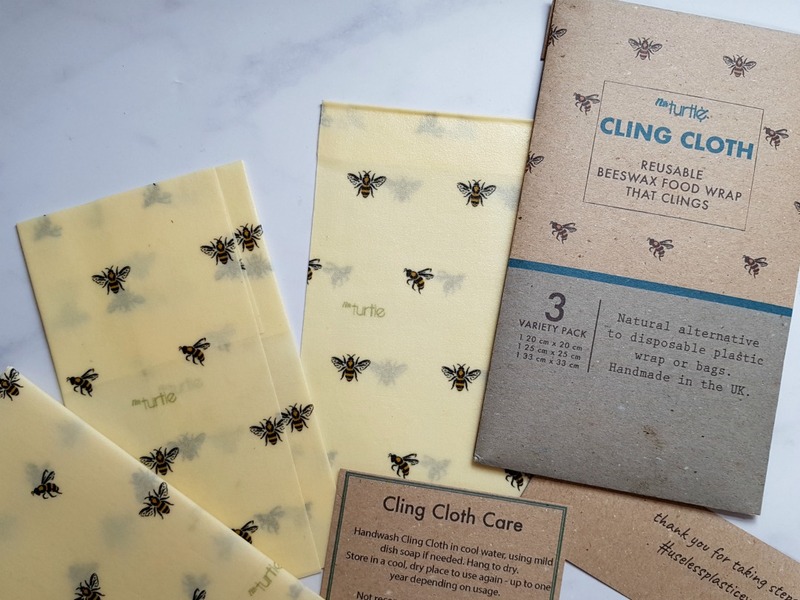 Beeswax wraps – We don’t use a lot of cling film – proven by the fact that we have had the same roll of cling film since we got married almost 10 years ago! It’s almost part of our relationship. However, there are times when there really is nothing else. A couple of months ago, I bought some beeswax wraps and I’m really impressed with them. I use them for wrapping cheese and other bits in the fridge that need preserving. They rinse well and wrap tightly. Buy in bulk – Jared and I often get frustrated that we can’t buy things in bulk very easily. There are often restrictions on the type of business that you own, and it’s tricky to find everything in one place. We would love to buy items like washing powder, oats, coconut milk, gluten free pasta, muesli and even conditioner, moisturiser and toothpaste in bulk – things we use all the time, but in giant 25 kg quantities. We could have a mini shop set up in the garage. Bamboo toothbrushes – I have seen bamboo toothbrushes everywhere, and I must admit that they are beautiful, and really quite tempting. Such an easy switch to make, but after talking to our dentist – it’s not a switch I’m willing to make. I love the idea of natural toothpastes too, but the fluoride toothpaste is staying and so are our electric toothbrushes. Reusable nappies – I used (second hand) reusable nappies with Winston until he was around 16 months old, but after they were all ruined at the launderette, I felt upset and frustrated. Frustrated that a product that was supposed to be so well made (and I’d washed over and over again), could be spoiled so easily. Jared and I have talked about using reusable nappies again for our fourth baby, and I’m definitely open to the idea. I potty train as soon as I can after their second birthday (night and day), so I feel like this helps reduce waste a lot. Baby wipes are something I need to start thinking about too. Shampoo, conditioner and body wash – I would love some recommendations here. I’m not a massive products person, and usually buy whatever shampoo and conditioner is on offer. I love the idea of our whole family using bars for shampooing, washing and deodorant – I just feel a little lost and they can be expensive, and there are so many to choose from. No plastic bottles littering our shower, and bathroom is really appealing, and something I could totally get on board with. Toys – I am careful about the toys that I have in our home. 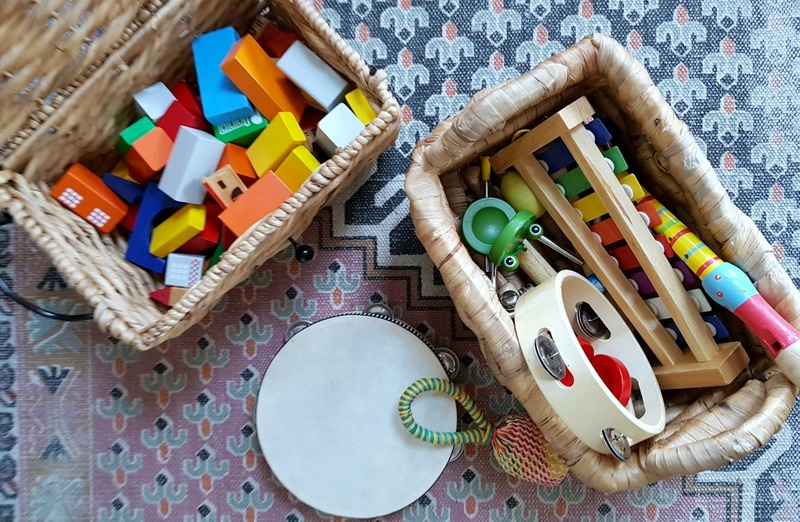 I’ve chatted about open ended toys before and other toys that we love, as I think that they make my boys so much happier than electric toys that they fight over and then break. Toys are notoriously difficult to recycle, especially if they are broken. Functioning toys can be donated to friends, playgroups or to the charity shop. In the UK 8.5 million toys are thrown away each year, which I find quite sickening. I didn’t know you could take your own tubs into Morrison’s, that’s so cool! For toiletries, what about somewhere like Lush? I think they do a recycling scheme where you take back the tubs and get free product? Perhaps a bit expensive though for a big family? I do have a friend who has twin toddlers and she just barely uses anything, full stop. They have shampoo but they just use water on their bodies and faces. These are some really nice ideas Esther.. and I love how sassy your mom sounds. I will be looking into beeswax wraps! Some great ideas. I need to buy some of that beeswax wrap and I want to buy reusable wrapping paper too. We used reusable nappies for both of mine and I was so glad I did, it must have saved such a lot from going to landfill.